Finish: Biaxial. Aerated tiny holes. Breathable. Insoluble. Dyne Treated. Durability: Outdoor. 12-18 mth ground level. Note: DBAB is exclusive to S B O and is a superior multi-purpose material. Promotions, sales, logos, outdoor, indoor and event signs. DBAB is a strong polyester filament yarn, knitted into tubular fabric form or in cut lengths and is well suited to temporary crowd control barrier rental with a 78% blackout. 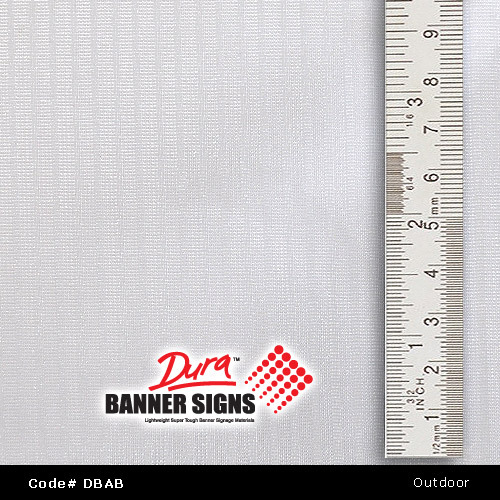 DuraBanners (DBAB) is a smooth closed knit weave that is popular with advertising agencies and outdoor banner suppliers. The material is lightweight with open air mesh principles to gain span versus wind load. 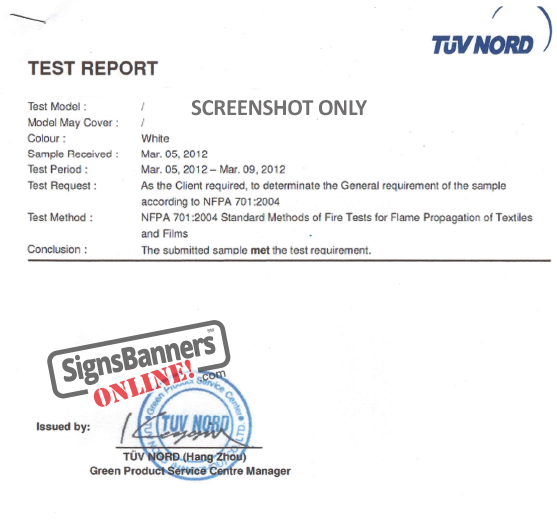 Customers may use for pvc vinyl replacement and internal store flags. Finish options are designed for budget and application such as knife edges only or reinforced webbing edges, eyelets and more. No minimum roll required. Custom size to your order. Safe Usage: THIS IS NOT EDGE FALL MESH.